COMMENTS: normal series from May 2008 to March 2013. Plate style since 2000. No coding. COMMENTS: normal series from 1978 to 1991. Reissued in plate style since 2000. No coding. COMMENTS: taxi series since 2000. 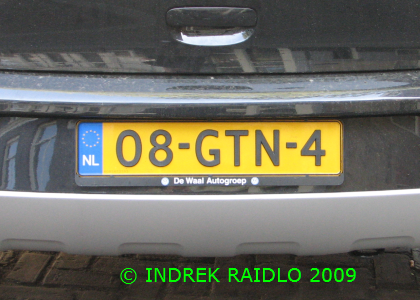 Black on blue plate, otherwise normal series registration from 1991 to 1999. No coding. COMMENTS: moped series since 2008. 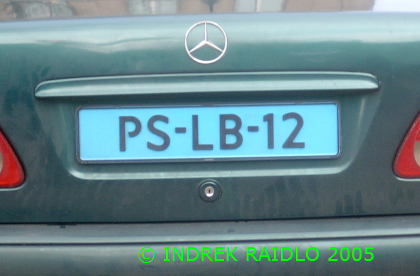 Plate style since 2005. 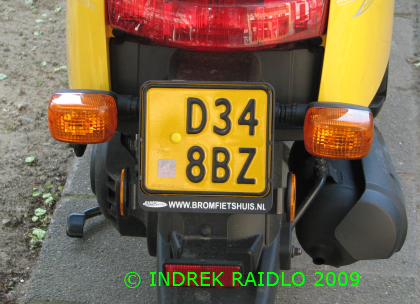 Black on yellow=moped capable of 40 km/h. 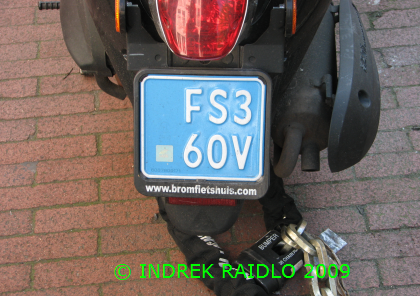 COMMENTS: moped series from 2006 to 2008. 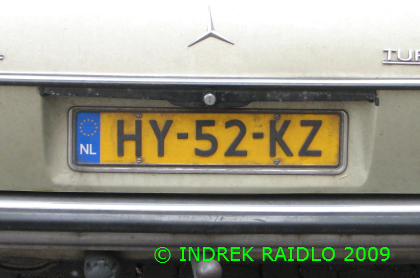 Plate style since 2005. White on blue=moped capable of 25 km/h. COMMENTS: moped series from 1966 to 2005. Annual issue 2005. COMMENTS: diplomatic series since 1991. Plate style since 2000. 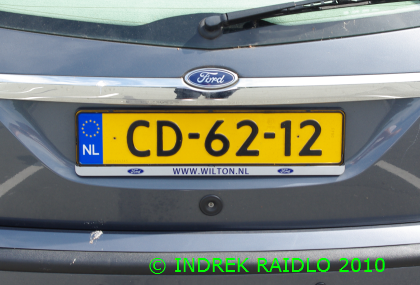 CD before two pairs of numerals = Diplomatic Corps. 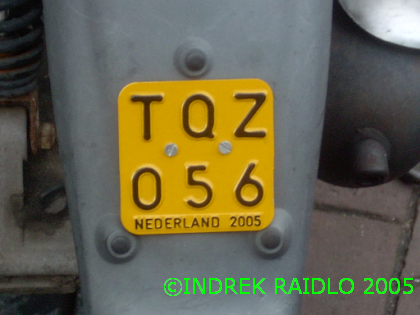 COMMENTS: trade plate series since 1992. Plate style since 2000. 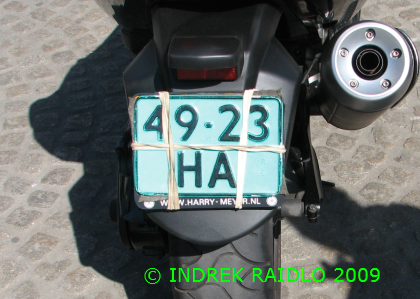 HA= general trade plate. 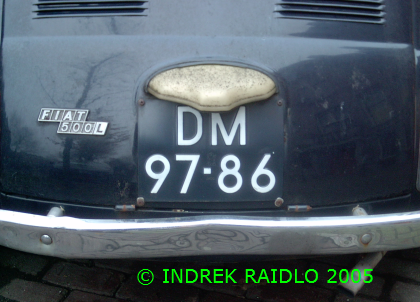 COMMENTS: antique vehicle series for cars built before 1973 from 1988 to 1998. COMMENTS: unknown series. Picture made in Amsterdam airport. 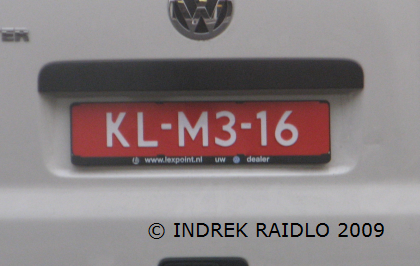 Special plates for KLM airport service vehicles?